Focal plane shutter 1/1000. 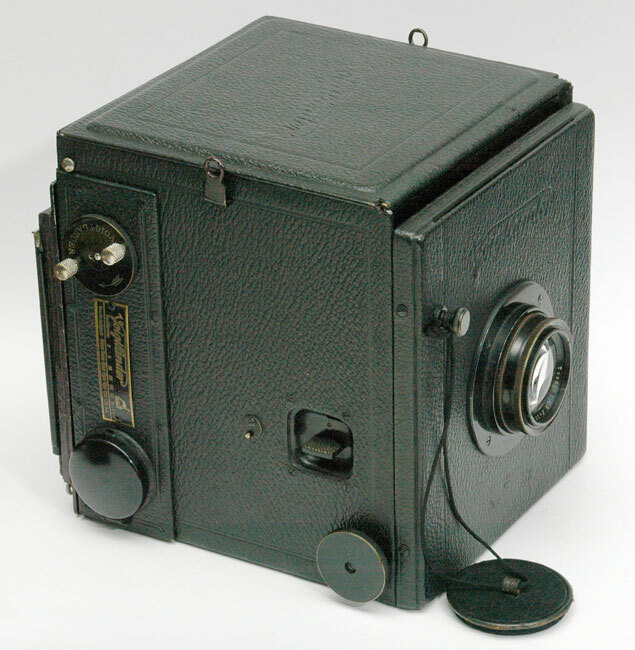 Heliar 4.5/18 cm, replaced here by a Carl Zeiss Jena - Tessar 4.5/15 cm. Leather covered aluminum body. Rack and pinion focusing. Shutter opens and mirror flips up by a single knob. Focusing leather hood. Rotating back. 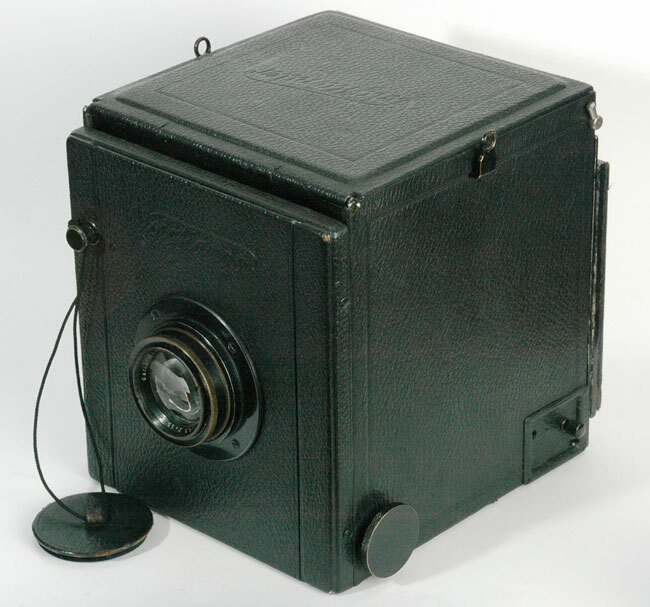 Left side of the camera. 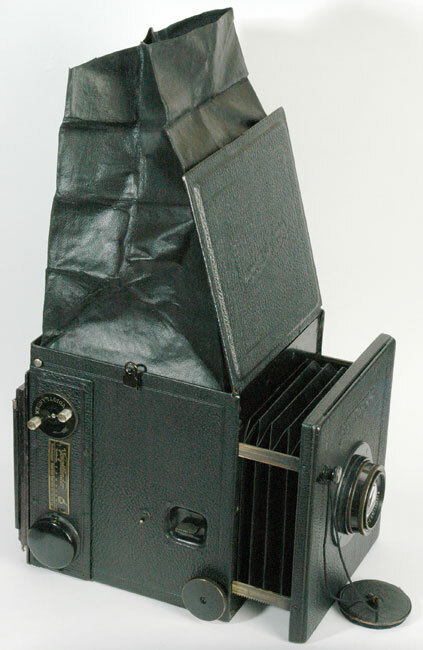 Right side of the camera, focusing hood unfolded.